Thai media has reported that the justice ministry could prosecute the British husband of a Thai woman found dead on the Yorkshire Moors in England fifteen years ago. Should the husband be convicted of murder he would face execution or a lengthy prison term in Thailand even though the case centers on something that happened abroad. British police in South Yorkshire who reopened the case said last year that they are treating it as a murder inquiry. Thaivisa stresses that David Armitage - an English lecturer at Rajabhat University in Kanchanaburi - is not under suspicion in connection with the disappearance of his wife Lamduan Seekanya. Requests through his supervisor for a comment have not been answered. Though The Sun in England reported earlier this week that he had denied being a murderer. Now the mother of the deceased woman in Udon Thani has repeated claims that her husband told his children that their mother had run off with another man. Jumsri Seekanya said she is not pointing the finger at her husband but asks why he lied to his children. An Asian looking female was found dead by a hiker in Horton in Ribblesdale in 2004 and the police initially thought it was an accident. She was buried in a local church yard and became known by locals as "The Lady of the Hills". 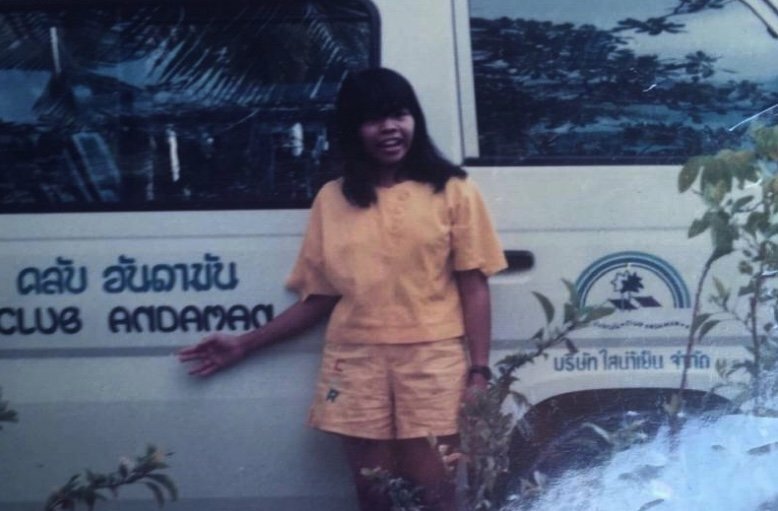 But after the cold case was reviewed last year and DNA and fingerprint evidence came from Thailand it was confirmed that the body was that of Lamduan who had gone missing in 2004 shortly after returning from Thailand. The couple had two children and there was a third child with a Thai man who preceded their relationship. Thaivisa understands that Khwan Seekanya - the child from the Thai/Thai relationship - was left in England with grandparents when David Armitage returned to Thailand with his biological children, a boy and a girl. In latest developments Tawatchai Thaikhiaw, a deputy at the Justice Ministry has suggested that Article 8 (khor khai) could be enacted to prosecute the husband if there is shown to be a case to answer. The article relates to crimes committed against Thai nationals abroad by foreigners. For murder in such cases the guilty can be put to death or jailed for 15 to 20 years. Prawin Janthong, a deputy minister, has also said that financial assistance could be provided to the family of Lamduan in this case, reported Daily News. That money could be used to fight the case. Thai Rath went to Phen district of Udon to meet the mother and father of Lamduan, Jumsri and Buasa Seekanya. They had just got back from buying items to perform religious rites for their long missing daughter. Jumsri said she was not pointing the finger at David Armitage but she wants to get to the truth. She said that after the couple went to live in England her daughter reported to her that her husband assaulted her and she wanted to come back to Thailand. Then contact ceased. She claimed that David lied to his children telling them that their mother had left him for another man. She said he had been back in Thailand for more than ten years. "I am not blaming him but what am I to think", she said. "This has gone on for 15 years". She implored her two grandchildren from David and Lamduan's marriage to get in touch with her. Attempts by Thaivisa to contact David through his supervisor at the university have so far gone unanswered though the supervisor has read Line messages. Thaivisa understands that the couple had lived in Portsmouth on the south coast of England before moving in with his parents in the north of the country. Thaivisa also understands that Mr Armitage was familiar with the area where the body was found after spending much time there as a teenager. UK wouldn't co-operate with such folly & could probably be sued if they tried. Nick him while you can. Well sketchy scenario. They will make it up as they go along as they normally do. With a bit of bullying, extortion and perhaps torture thrown in. He better <deleted> of thailand ASAP. 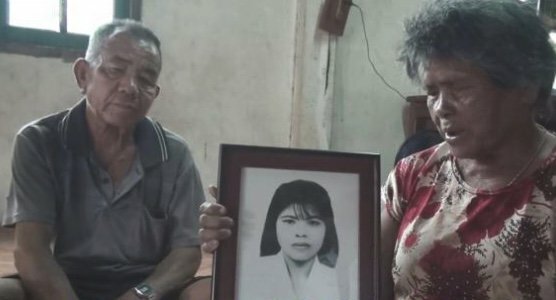 "Thaivisa﻿ stresses that David Armitage - an English lecturer at Rajabhat University in Kanchanaburi -﻿ is not under suspicion in connection with the disappearance of his﻿ wif﻿e﻿﻿Lamduan Seekanya. " I'd hate to see what they would write about him if he Was under suspicion? Would you say the same thing if it was your own daughter? Not saying its right or wrong, but even if he did say this to his children, that she had run off with another man, who can say that this isn't true? And if it did happen like this, who is to say that the man she ran off with didn't kill her? But what does get to me is that an on-going investigation is being dragged through the media, initially being reported by not the most reliable tabloid source in the UK. It used to be that reporting like this would always work in the favour of the accused; defence claiming the reporting is biasing all the jury members. And yes, I'm talking about juries in the UK, not this nonsense that Thailand would be trying him. Not saying it is true or not. even when that have it all, in our home countries. to find his lovely Thai wife had left him for another man. This is the best bit, she run off with the guy who owned the jewellers shop in the high street. ( the gold shop owner ) how Thai is that. Somebody is warming up his poster printing press! Posters think that he may be guilty . did my post not elude to that?